Mayak family intended to deliver various type spacecrafts to the orbit. 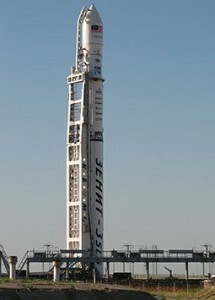 The launch vehicle (LV) is intended for injection of average mass payloads to medium and high circular and elliptic near Earth orbits, including GTO and GEO, as well as flyaway trajectories. It is intended for injection of average mass payloads to medium and high circular and elliptic near-earth orbits, including GTO and GEO, as well as flyaway trajectories. 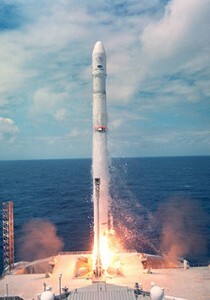 It is launched from Baikonour launch site. As per June 1, 2011, 4 launches are performed, all successfully. The three-stage integrated launch vehicle is created basing on Zenit-3SL LV, used in the Sea Launch program. 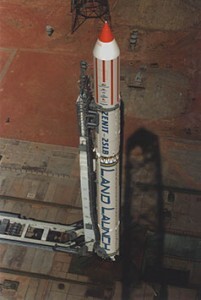 The Zenit-2SLB launch vehicle (LV) is a further development of the Zenit-2 launch vehicle. It is intended for injection of payload to low and medium near-earth orbits with inclination of 51.4 deg, 63.9 deg and 98.9 deg. Payload injection into orbits with different inclination is possible. The launches are implemented from Baikonur cosmodrome. As per June 1, 2011, one successful launch was carried out. 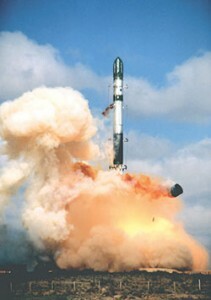 (Zenit-2 LV was successfully launched 32 times). 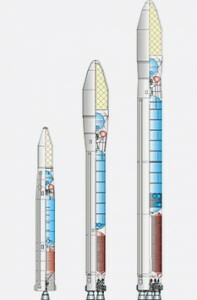 The two-stage integrated launch vehicle is based on first two stages of LV Zenit-3SL, used in the Sea Launch program. It is intended for spacecraft launching to circular and elliptic near Earth orbit with inclination of 65.50 deg, 87.30 deg and 98.0 deg. The launch vehicle is a three-stage type and is developed on base of most powerful RS-20 (SS-18 Satan) intercontinental ballistic missile. Fuel components are: diazote tetraoxide and asymmetric dimethyl hydrazine. It is intended for injection to circular, geostationary transfer (GTO), sun-synchronous orbits of one or cluster satellites of application. 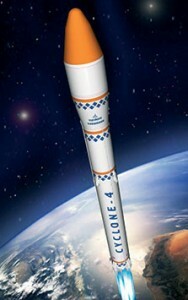 The Cyclone-4 is a follow-on modification of Cyclone-3 launch vehicle (LV). 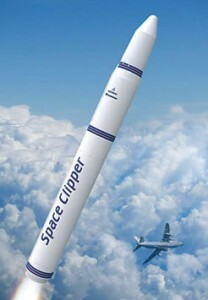 Use of a new third stage with increased amount of propellants and main engine based on RD861К LPS with multiple-start option; new modern control, measuring and safety systems; installation of new payload fairing (PLF); injection of a structurally separate assembly: payload unit that would provide high cleanliness level in spacecraft zone under fairing. It is intended for injection of nanosatellites into wide range of orbits of various altitude (500–1 000 km) and inclination (0 deg–98 deg). 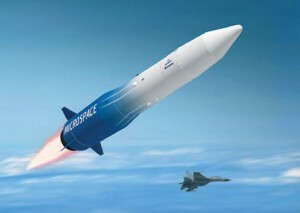 Microspace-2 ARSC consists of: three-stage launch vehicle; supersonic launcher aircraft Su-27; manufacturing and operating complex. The rocket complex is now being on stage of development. It is intended for injection of spacecraft within wide range of altitudes and orbital inclinations. It consist of the upgraded An-124-100 Ruslan with transportation and launching platform, two- or three-stage launch vehicle (LV) and ground complex. The first and the second stages in a three-stage LV are solid-propellant, based on RESP D365, with solid charge of НТРВ type. Upper stage has liquid-propellant: nitrogen tetroxide+UDMH. Upper stage has multiple-start modified engine RD861K.